LCD Size <= 15" - 24"
1. 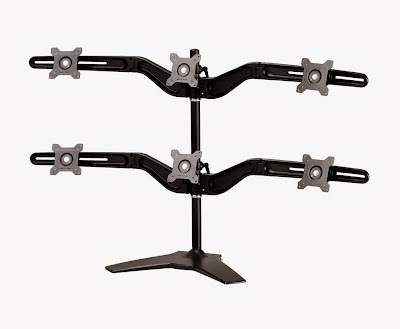 Easy Cable ™ Access Channel to make the cables tidy & well consolidated. 2. 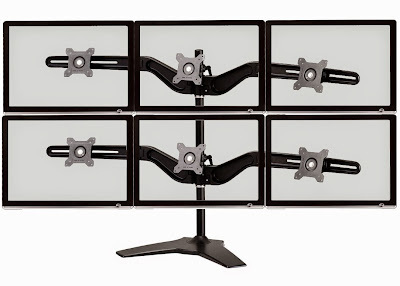 Height of monitors array can be adjusted. 3. 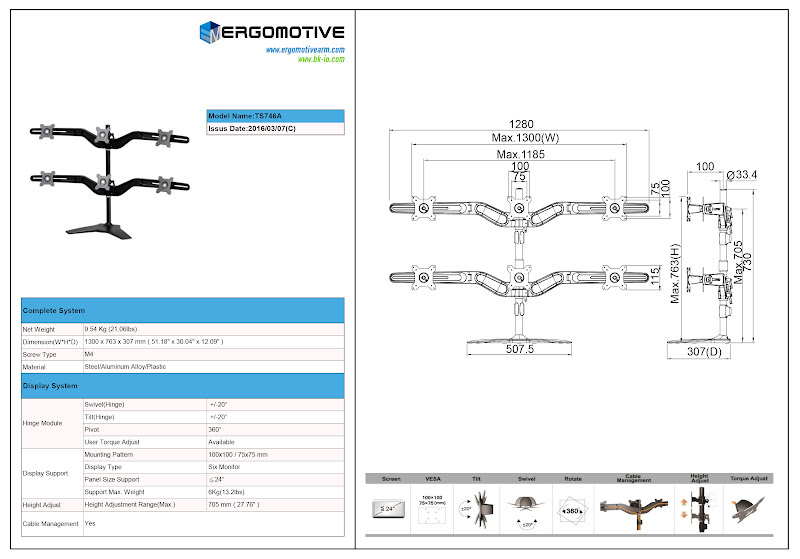 Smart Torque Adjust™ is always embedded at every Hinge Module to meet various weights implemented. 4. 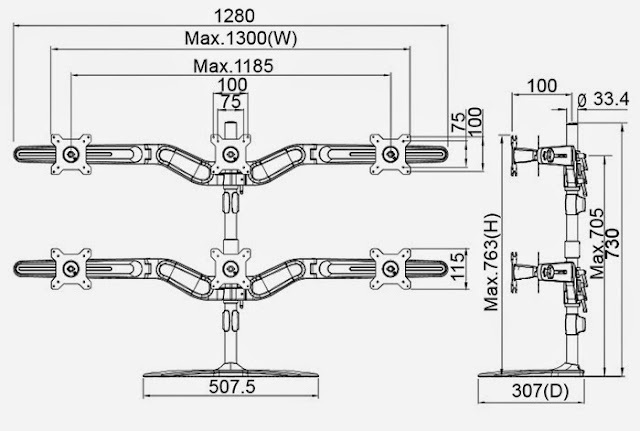 Quick Release ™ on each ARM to enable the install efficient & easy.